ACCORDING TO the Flickr photo sharing website, these are my 20 most interesting photos of 2009. Some of these are my favorites, too. 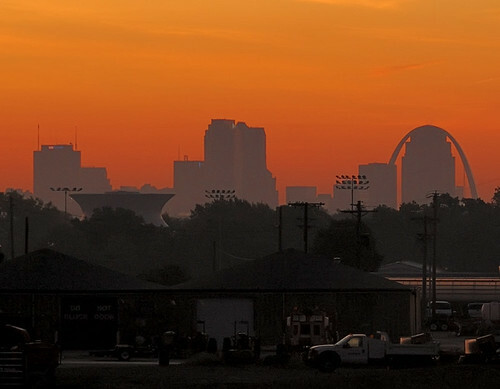 Downtown Saint Louis, taken just before sunrise. 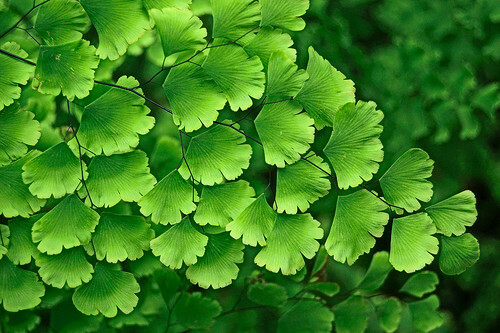 Green foliage in the Climatron greenhouse, at the Missouri Botanical Garden. 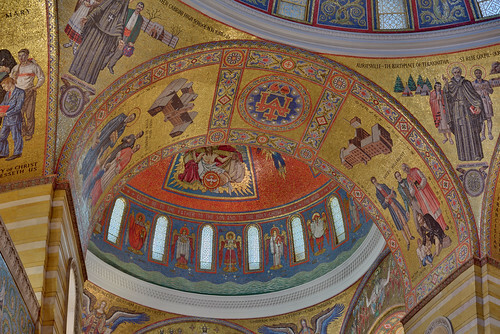 Detail of historical mosaics at the Cathedral Basilica of Saint Louis. 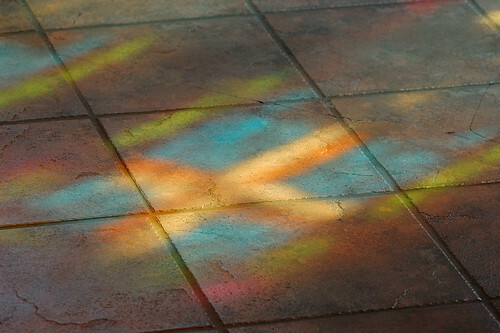 Light from a stained glass window at Saint Peter Church, in Saint Charles, Missouri. 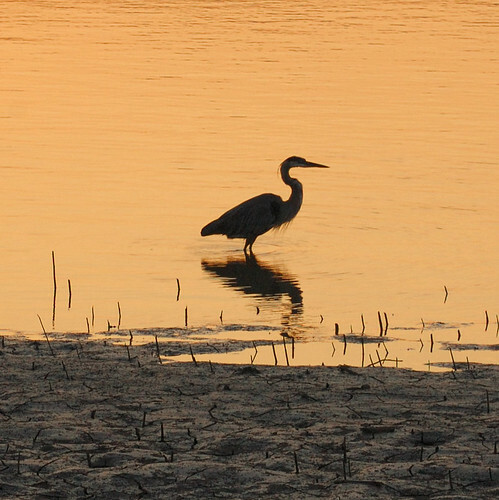 Heron at sunrise on the Missouri River. 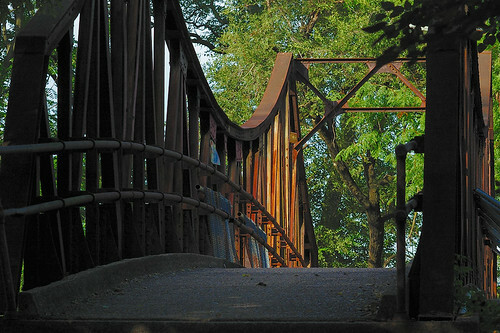 Bridge over railroad tracks in Forest Park. 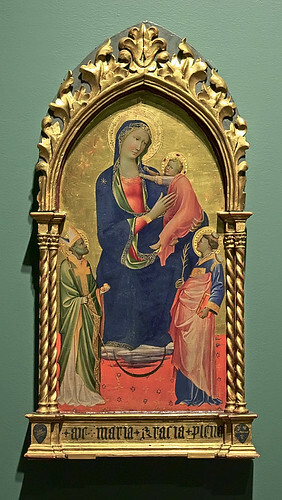 Madonna and Child with Saints Stephen and Nicholas, by Gherardo Starnina, at the Saint Louis Art Museum. 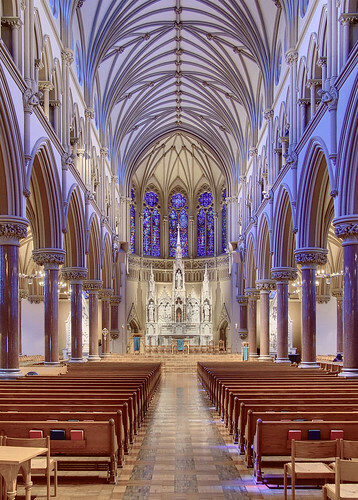 Our Lady's Chapel, at the Cathedral Basilica of Saint Louis. 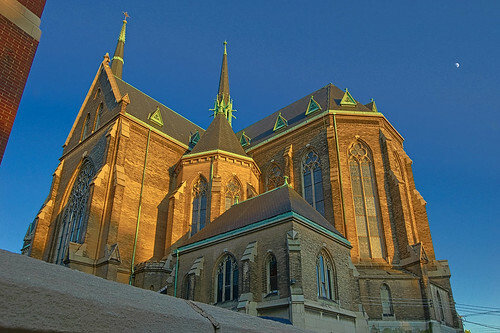 Saint Francis de Sales Oratory at sunset. 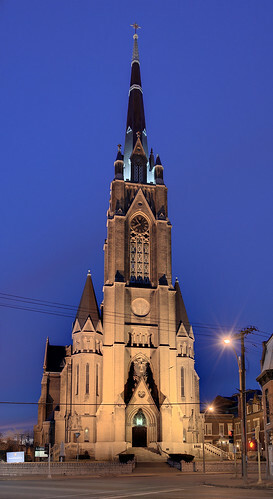 Saint Francis de Sales Oratory at night. 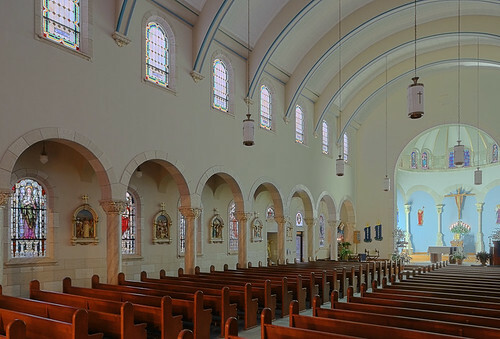 Nave of Saint Francis de Sales Oratory. 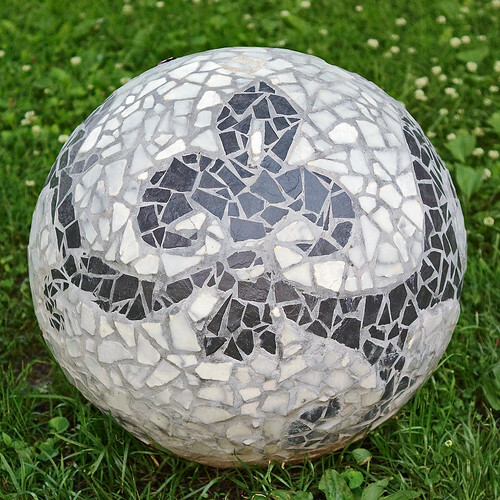 Mosaic ball with fleur de lis, by artist Robin Murez. 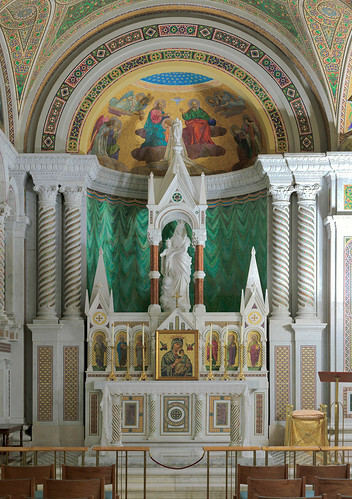 Former Daughters of Charity chapel at the University of Missouri - Saint Louis. 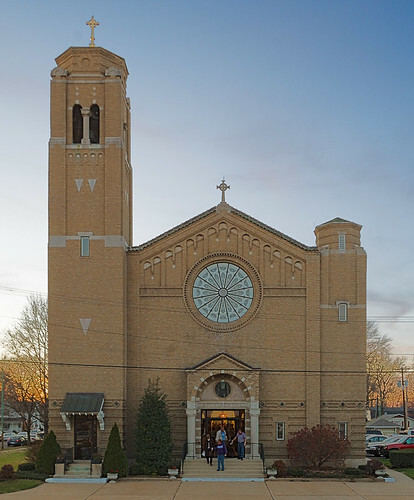 Saint Nicholas Church, in Saint Louis. 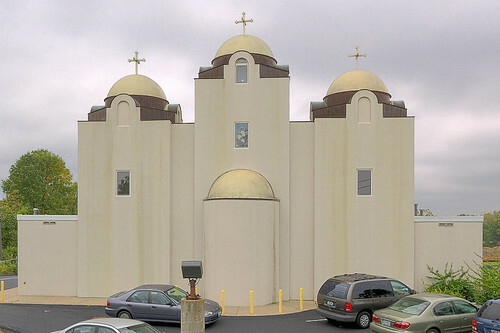 Saint Mary and Saint Abraam Coptic Orthodox Church. 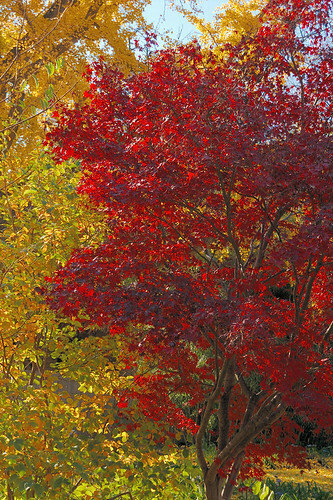 Fall color at the Missouri Botanical Garden. 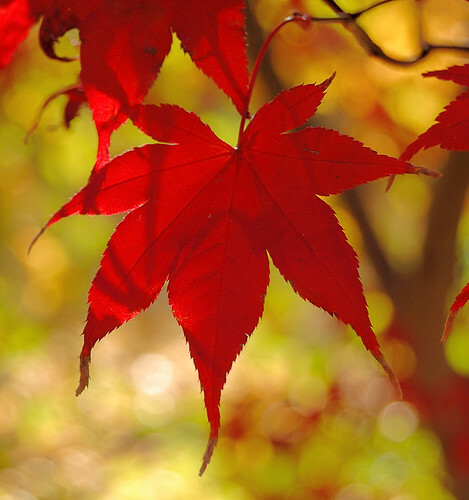 Red maple leaf at the Missouri Botanical Garden. 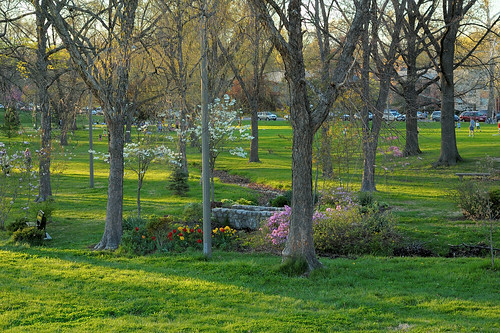 Tamm Avenue Spring in Francis Park. 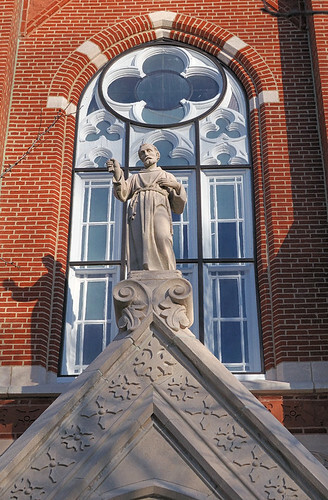 ONE OF THE stained glass windows at Saint Francis de Sales Oratory is damaged due to the unstable foundation of the church's tower. 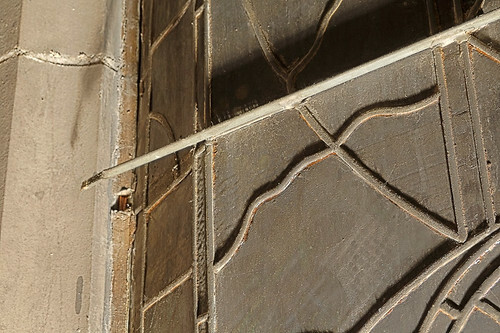 One of the consequences of the shifting foundation of the church tower is the cracking in the masonry and the bowing of the historic stained glass windows of the church. 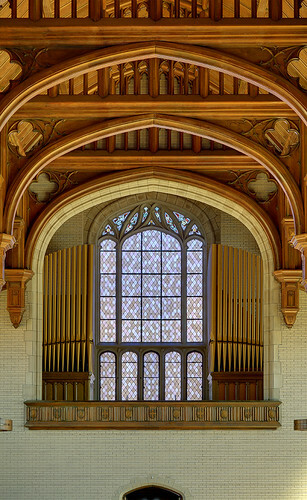 The windows most seriously affected are the ones on the north side, on the right side of the choir loft. 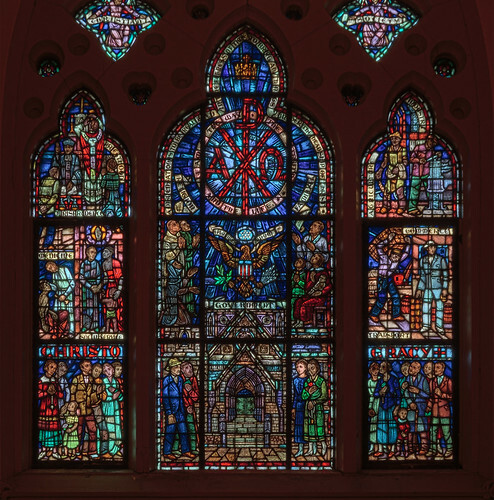 Unfortunately, the structural damage of the windows has reached a point where it is now necessary to remove the stained glass segments in order to save them. 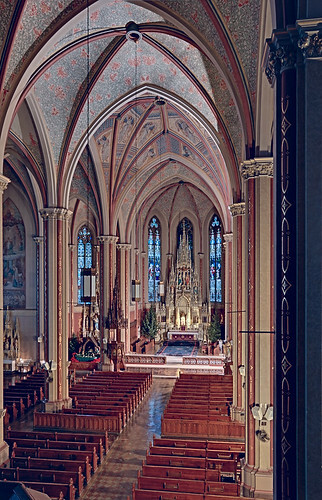 AN EXHIBIT AT the Saint Louis University Museum of Art commemorates the 125th anniversary of the first Mass at Saint Francis Xavier, the University's grand church. 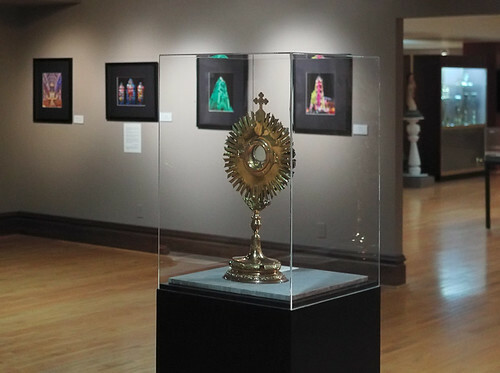 The exhibit, located on the third floor of the museum, features contemporary and historical photos of the church, as well as some liturgical vessels from the church. 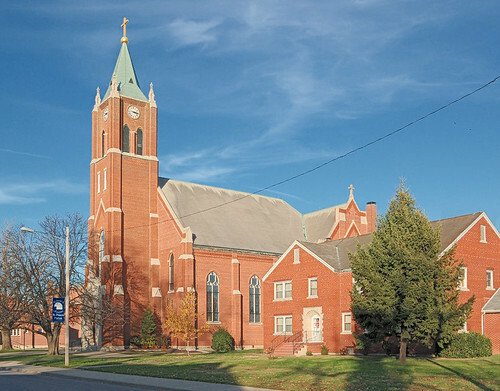 The exhibition is adjacent to the Collection of the Western Jesuit Missions. 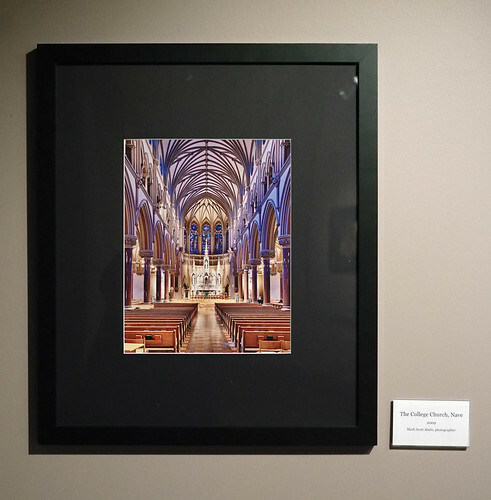 Included in the exhibit is my photo of the nave of the church, taken on October 1st 2008. 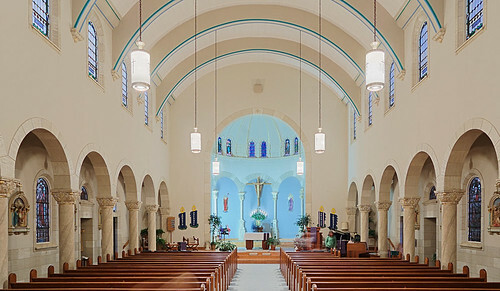 The bright, yellowish incandescent lighting here is contrasted by the blue ‘transfigured’ light shining through the famed stained glass windows, which were designed by Emil Frei, Sr. 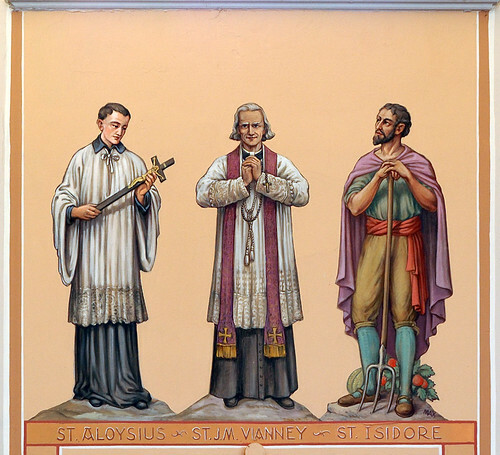 Many thanks to Fr. 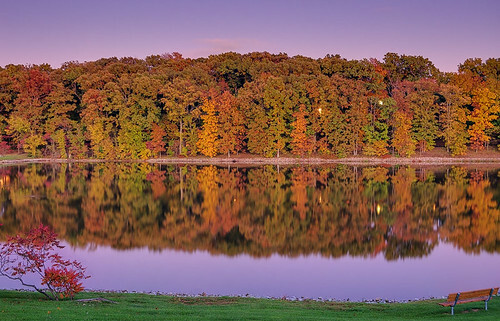 David Suwalsky, S.J., who selected this photo for the exhibition. 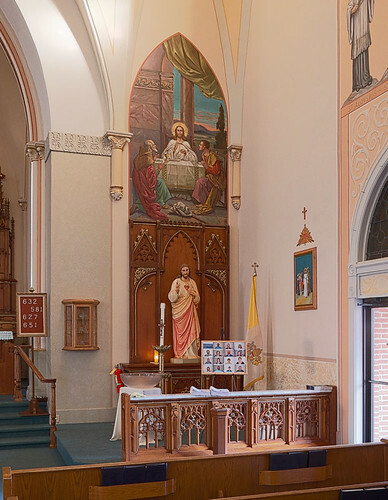 The church's anniversary website is here, and special events will continue until October 2010. 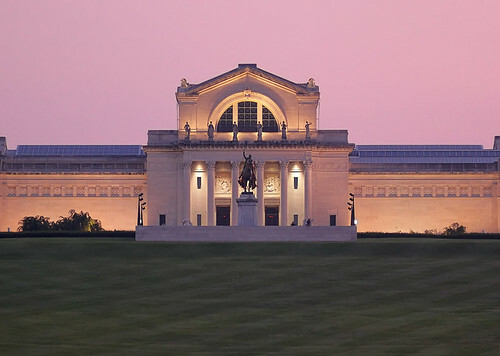 The museum is now closed for the winter break; click here to find more information. 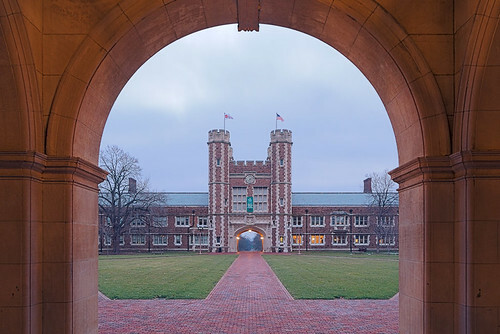 Brookings Hall, at Washington University in Saint Louis, taken this morning just before sunrise. 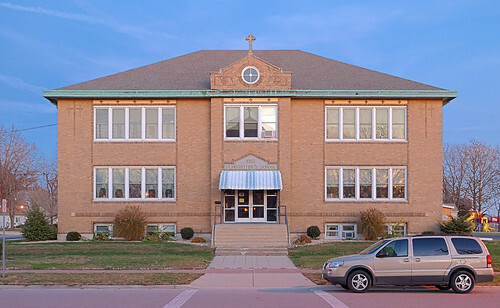 This English-style architecture reminds me that today is the feastday of Saint Thomas Beckett: click here to read of his martyrdom. 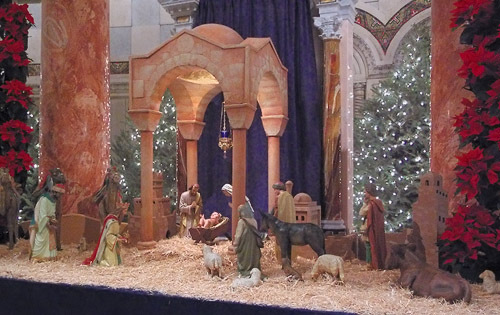 Christmas crèche at the Cathedral. Much better photos of this manger scene are here. 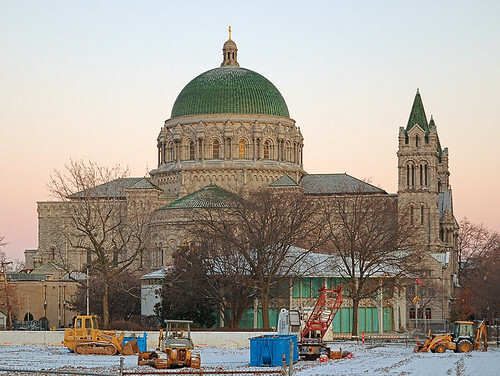 Cathedral Basilica of Saint Louis. The machinery in the foreground is from the recent demolition of buildings on that lot. But they cried out in a loud voice, covered their ears, and rushed upon him together. They threw him out of the city, and began to stone him. The witnesses laid down their cloaks at the feet of a young man named Saul. As they were stoning Stephen, he called out, “Lord Jesus, receive my spirit.” Then he fell to his knees and cried out in a loud voice, “Lord, do not hold this sin against them”; and when he said this, he fell asleep. Now Saul was consenting to his execution. On that day, there broke out a severe persecution of the church in Jerusalem, and all were scattered throughout the countryside of Judea and Samaria, except the apostles. Devout men buried Stephen and made a loud lament over him. Saul was later known as Saint Paul after his dramatic conversion. The Lord hath said to me: Thou are My Son, this day have I begotten Thee. — Psalm 2, Introit for the First Mass at Midnight; the Feast of the Nativity of Our Lord. Awake, awake! Arise, O Jerusalem, You who drank at the LORD'S hand the cup of his wrath; Who drained to the dregs the bowl of staggering! Your misfortunes are double; who is there to condole with you? Desolation and destruction, famine and sword! Who is there to comfort you? Your sons lie helpless at every street corner like antelopes in a net. They are filled with the wrath of the LORD, the rebuke of your God. Thus says the LORD, your Master, your God, who defends his people: See, I am taking from your hand the cup of staggering; The bowl of my wrath you shall no longer drink. I will put it into the hands of your tormentors, those who ordered you to bow down, that they might walk over you, While you offered your back like the ground, like the street for them to walk on. How beautiful upon the mountains are the feet of him who brings glad tidings, Announcing peace, bearing good news, announcing salvation, and saying to Zion, "Your God is King!" Cleanse yourselves, sons of Israel, says the Lord; for tomorrow your Lord will come down, and he will take away from you all weaknesses. Tomorrow the wickedness of the earth will be destroyed, and the Savior of the world will rule over us. And he will take away from you all weaknesses. — Great “O” Antiphon of the Canticle of Mary, for Vespers, on December 22nd. 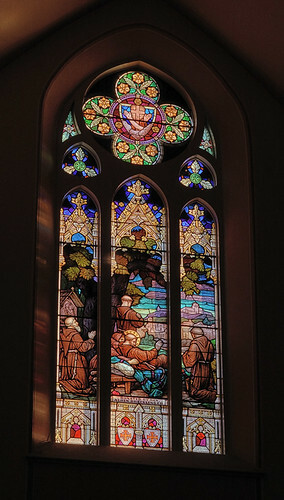 Christocracy window, at Saint Francis Xavier Church, in Saint Louis. Photo taken May, 2009. All states have a kind of official spirituality or metaphysical philosophy, which we can deduce by observing the laws the state imposes on its subjects. While we cannot read the hearts of men, we can however read what intellectual and political leaders of a state say to their peers, which is often contradictory to what is claimed in the mass media. Are our nation's laws merely secular, or do they imply specific truth claims about the human person, nature, morality, and the role of the state? The Messiah is king of all the nations, whether or not the nations recognize Him. The time of darkness is over, and the light of Gospel can illumine our hearts if we decide to let it in. Or we can do our own will and risk final judgement. — Great “O” Antiphon of the Canticle of Mary, for Vespers, on December 21st. The ancient Church saw the ages of man before the coming of the Messiah as times of darkness, while our age, the age of the Church, is a time of daybreak — the light of dawn has appeared in the skies, and we face towards the east awaiting sunrise, which represents the Messiah's return and final glory. 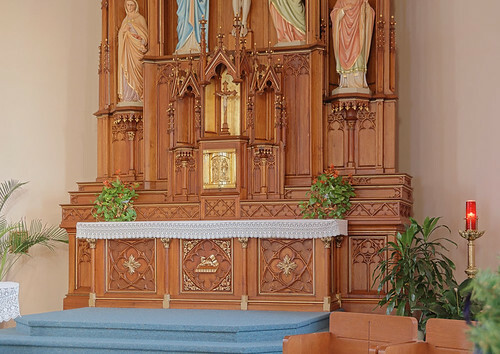 Ancient churches themselves were oriented towards the east, with priest and faithful all facing eastward towards the coming Lord. 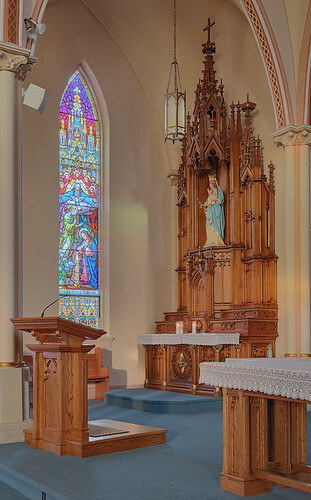 Facing the east is a custom largely lost in the Catholic Church, and many — including Pope Benedict — think that we ought to recover this symbol of our Faith. 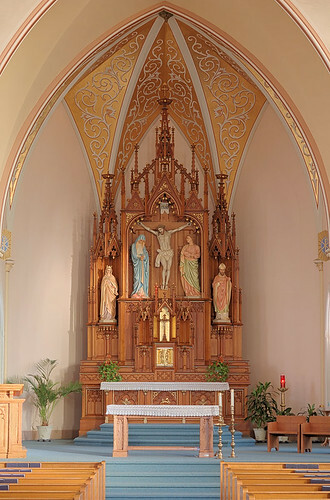 The sun, in its course through the seasons, is a natural symbol for higher things, which the Church reflects in her liturgies. 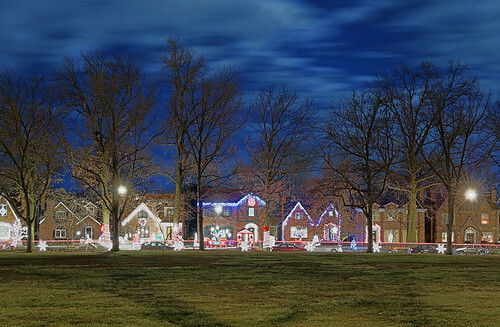 The end of Advent happens to occur around the time of the winter solstice in the northern hemisphere, which marks the shortest day of the year, and so is a fitting symbol of the new light of Christ coming into the world. 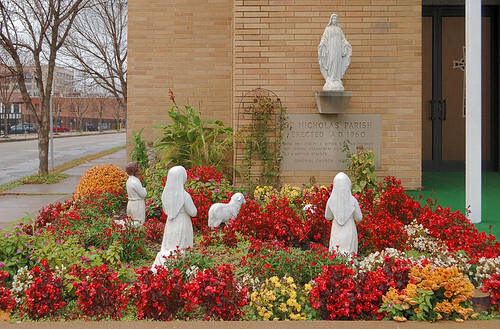 Many critics say this kind of nature symbolism is pagan, and that Christian celebrations ought not be tied earthly events. 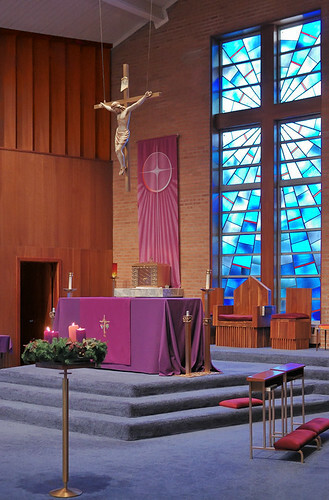 But this kind of spiritualism has no place in the Church on earth, for God made the world and it was very good. Indeed, many of the spiritualistic critics themselves often descend into paganism, worshiping the solstice itself instead of Him who Made it. — Great “O” Antiphon of the Canticle of Mary, for Vespers, on December 20th. Keys are symbols of power and authority, especially when they are keys to a royal palace, the gates of a walled city, or the keys to a prison. Some sins become so habitual that they have the nature of imprisonment — consider the alcoholic or the compulsive and impoverished gambler: no longer do they get joy from drink or from the games. Rather they ruin their lives because they have little remaining choice in the matter: their vices compel them, like a slave is compelled by his master. According to the prophets, the Messiah is the key which can unbind those imprisoned by sin, and which unlocks the gates to the kingdom of Heaven. Note how Christ gave the keys of the kingdom to Peter, who with the Apostles has the power to “bind and loose”, a reference to the chains which bind those in sin. 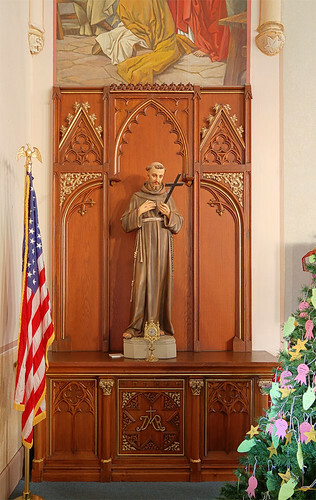 American culture often depicts Saint Peter as up in the clouds next to the pearly gates; this is boring at best. Rather, the Catholic view is that Peter — and his successors — have the keys to the kingdom in the here and now and not just the hereafter. Taken today at the Missouri Botanical Garden. — Great “O” Antiphon of the Canticle of Mary, for Vespers, on December 19th. This is from Isaiah, chapter 11. 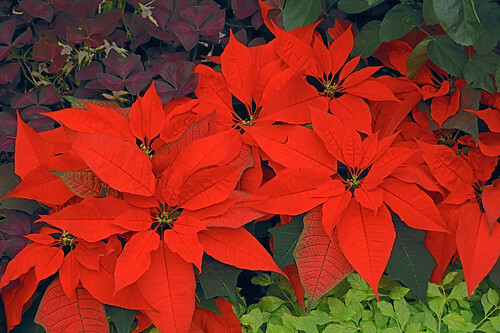 Jesse was King David's father; the prophesy states that the lineage of Jessie would almost be destroyed, but not quite — the roots would remain from which will flower the Messiah. In context, this passage tells that the Messiah shall bring justice to the poor, and slay the wicked. This is in contradiction to theologies of “health and wealth” and those that deny sin. Jesus wasn't “nice”, although he was “meek and humble of heart”, and His return will be one of judgement and fire. 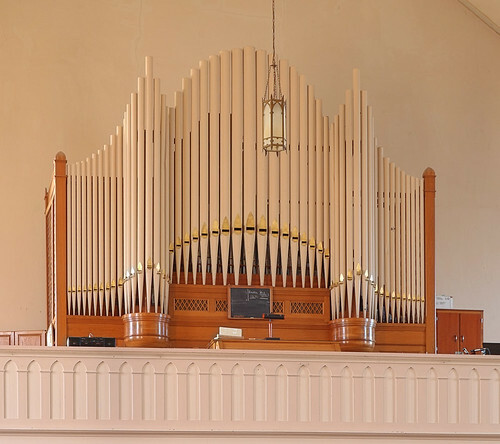 Do we wait in joyful hope or in fear and trembling? Or rather, should we be trembling when instead we are comfortable with ourselves? O Adonai, et Dux domus Israël, qui Moysi in igne flammæ rubi apparuisti, et ei in Sina legem dedisti: veni ad redimendum nos in bracchio extendo. — Great “O” Antiphon of the Canticle of Mary, for Vespers, on December 18th. Who is your lord? In whom do you put your trust? Do you put your faith in democracy, or in the invisible hand of the marketplace? Do you trust Caesar? Do you trust yourself? If so, your lord is a very small god. Who voted for the creation of the galaxies? In what marketplace is the force of gravity traded? What congressional bill is responsible for the stars in the sky? Did you give birth to yourself, or do you make the air you breathe? Who is your lord?